Argentina's largest Black Market has been around for over a decade and still offers only one commodity; money. The market has become so huge that Argentinians and foreigners no longer head to the bank for transactions, but hit the streets instead. The buzz of chaos whispers on the back of your neck; the sights and sounds overwhelm your senses. The streets are flooded with people: those selling, those greeting an exchange, and those simply drawn to the hustle and bustle. You are on edge, refusing all eye-contact in an attempt to repel local sorcerers and counterfeit handbag hustlers from approaching. Your breathing has become shallow, but you try to remain focused. After all, you are here to do something that over 17,000 people have 'liked' on Facebook… You have come to the Black Market in Buenos Aires to exchange money. You quickly realize that this Black Market is without voodoo or preserved insects, and that what is for sale is not at all mysterious. The hot commodity is money, and both locals and travellers swarm the streets to make an illegal exchange. Instead of a trip to the bank to exchange money, you head to the 'cuevas' on Florida St. These 'caves' are a part of Argentina's ever-expanding Black Market that has one driving obsession; the US Dollar. For over a decade, Argentinians have hit the streets in order to get their hands on the coveted American currency. This movement spawned from the government's debt default in 2002 which created uncertainty and distrust in the stability of the Argentinian peso. Today, the informal currency exchange in the Black Market has become so huge that the 'dólar blue' (blue dollar) exchange rate is printed in the daily Buenos Aires newspaper El Cronista, and is updated live online. The 'blue rate' is in constant fluctuation, but in the last year it has consistently been around 35-50% higher than the country's official exchange rate. The current blue rate is 9.40 ARS for 1.00 USD, opposed to the much lower government-regulated 5.85 ARS for 1.00 USD. On the Black market, locals accept a much worse exchange rate in order to discard of their pesos; often trading for half of what Argentina's government indicates they are worth. But why would they swarm illegal channels to trade pesos for way above the official exchange rate? Because they can't make an exchange anywhere else. 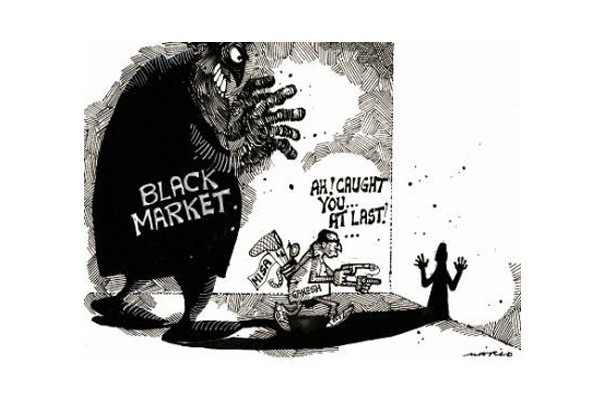 Why Does the Black Market Exist? With the Argentine Debt Crisis in 2002 and the fear that another debt default will occur under Cristina Kirchner's presidency, there is huge distrust amongst Argentinians and their financial institutions. Since government restrictions have made it nearly impossible to legally acquire US dollars, Argentinians turn to the Black Market to escape the uncertainty of the peso. In 2002, there was a run on the banks where everyone tried to withdraw their savings at the same time. This exacerbated the country's economic issues, causing the government and banks to put restrictions on how much residents could withdraw. Because of this, locals have been withdrawing small amounts, but constantly. The equivalent of US$ 80 billion has been withdrawn from savings accounts over the last 5 years. In total, about US$ 160 billion of undeclared cash is estimated to be floating around the country. A Local Joke: All Argentinian's and their Grandma's mattresses are stuffed with the faces of former US presidents. Argentina's inflation rate is said to be around 25% (from private analysts). 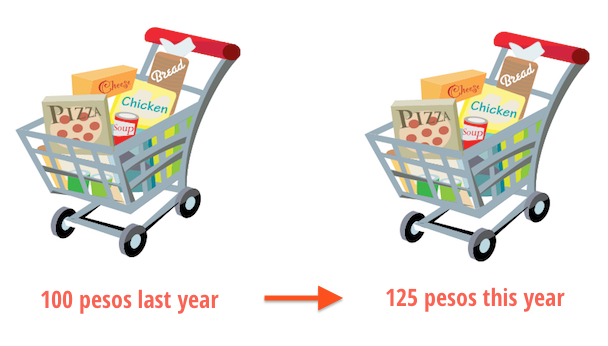 This means that a basket of groceries that cost $100 ARS last year, will now ring in at $125 ARS for the exact same grocery list. Compare this to the US inflation rate of 1.5% and you can understand how blown out it is. This huge inflation rate results in prices constantly going up and the purchasing power of pesos plummeting. It also makes locals eager to transfer pesos into a more stable currency that isn't in a perpetual state of devaluation. Those with expendable income head to the Black Market to exchange their pesos for US dollars. This is to ensure that their savings are in a more fixed currency, and are secure. For instance, in a year, savings of $1,000 USD will still be worth relatively the same amount. Argentinian's do not feel the same about their own national currency. The government makes it extraordinarily difficult for residents to legally obtain American dollars. Not only are there major restrictions in the amount one can obtain annually, but the frustration of the process alone would turn anyone into a hardened blue-dollar criminal. In order to get the prized foreign currency, locals must jump through several hurdles to prove their dedication to the cause. For instance, any Argentinian wishing to travel abroad must provide their tax-identification number and declare when, where and why they are travelling. Even after this, and withstanding exhaustive line-ups, one can still be denied American money, or be given hardly enough to cover a bus fare. This tight-grip on the American greenback is partially a result of Argentina's national foreign reserves plummeting 19% since 2011. In fact, the foreign reserves are at a 6-year low and have fallen at the fastest pace in the last decade. According to the latest figures at 18 October 2013, Argentina's Central bank has lost US$ 9 billion from their international reserves since the beginning of the year, which is at a rate of US$ 31.1 million each day. Without a constant flow of tourists supplementing the existing float with their foreign cash, the entire underground market would collapse. Simply, the amount of foreign currency circulating on the Black Market would not sustain the local demand. As a by-product of the existing economic disconnect, you can essentially double the number of pesos you receive when exchanging on the Black Market. 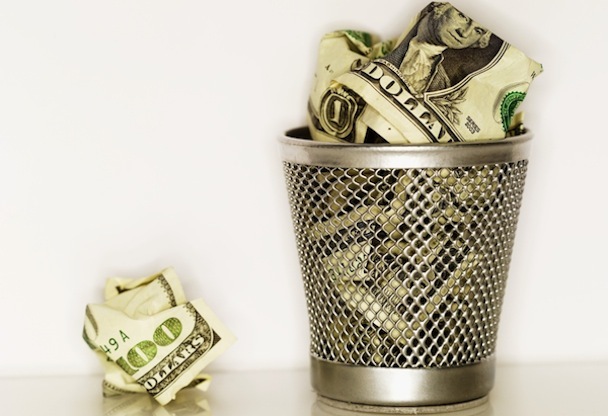 By withdrawing at the ATM or trading currencies at the official exchange rate, you are throwing away half of your money. To illustrate, hitting up an ATM and withdrawing the equivalent of $100 USD would fetch you approximately 585 ARS. Comparably, this same $100 on the Black Market nearly doubles your pesos to 1,000 ARS. This underground market aids in the circulation, redistribution and housing of as much cash as the entire net worth of IBM and Facebook combined. What does it all mean? Essentially, the opinions surrounding Argentina's Currency Black Market alter drastically depending on which lens you adopt. Exchanging money illegally is leading to billions of undeclared dollars at play in Argentina. A lot of these dollars are in the hands of money launderers, and those who engage in more risky and illicit criminal activities. In addition, with Argentinians withdrawing billions from their bank accounts, there are far fewer resources available for the government to build a sustainable, trustworthy economy. As such, the Argentinian peso would be much more stable if everyone wasn't trying to convert to another currency. Trading pesos illegally is often the only way that Argentinians can get their hands on a more stable currency. 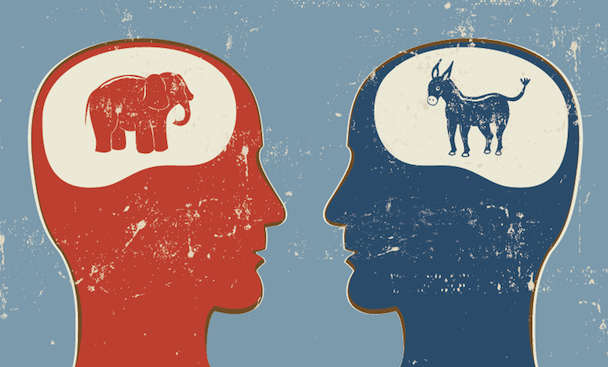 In riding the wave of an unreliable economy and national currency, the right to trade-out risk for greater security should be available to residents. Also, with the rate of inflation constantly diminishing the value of the peso, "freezing" assets with a more stable currency is necessary. Trading in dollars at a better rate than the "official exchange" in the Black Market may be a more realistic representation of what the Argentinian peso is worth. In fact, Argentina has recently become the first country to be censured by the International Money Foundation (IMF) for inaccurate inflation statistics. With the government published "official" inflation rate being far too low, the fixed exchange is not a proper measure of the pesos worth. So, are you going with the caves or the ATM? Argentina has one of the world's highest "unofficial" inflation rates which perpetually devalues the worth of their currency. This high inflation rate paired with poor economic decision-making has destroyed all loyalty and confidence toward the peso. Until the underlying economic and political issues are resolved, a parallel Black Market will continue to dominate the country's hold on foreign currency. President Cristina Kirchner has employed several failed attempts to abolish Argentinian's hunger for the greenback. The most drastic of measures began in 2011 when companies and individuals were prohibited from purchasing dollars for savings purposes. Predictably, this hunger never wavered, and only encouraged more illegal banking on the streets. 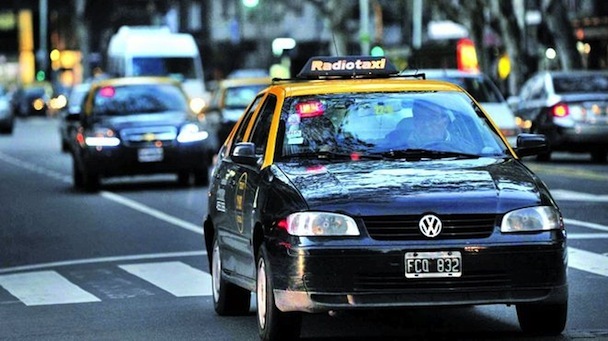 Next time you're in Buenos Aires, pay attention to the taxis heading down Florida street. In all likelihood, the cabs are filled with clients just like you and me - all heading to an appointment at the Informal Bank of Argentina.